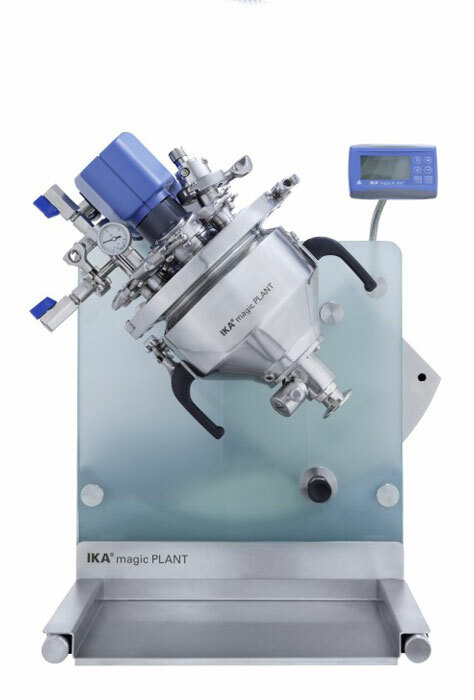 The IKA magic PLANT is a laboratory scale process plant for batch wise mixing and emulsifying of low viscous masses up to masses just about capable of flowing. The magic PLANT can be used for a great variety of applications. It is especially suited for processing of products from the cosmetics, food and pharmaceutical industries. 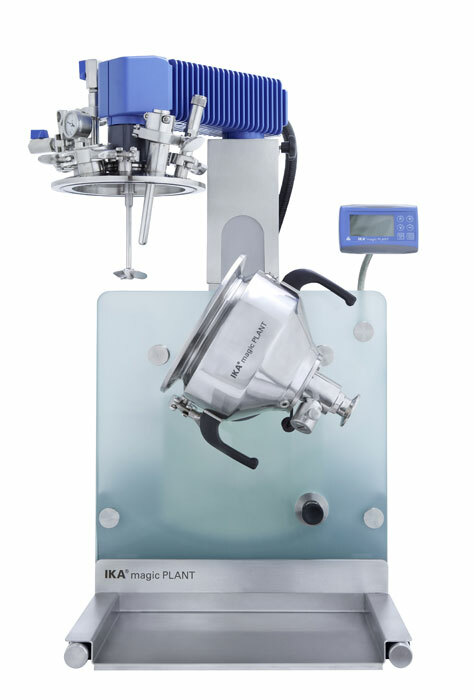 The main advantages of the magic PLANT are its modular design, the integration of several functions with the magic LAB® or the ULTRA-TURRAX® UTC T25 and the standardizing of components. It can be delivered in the following three configurations. 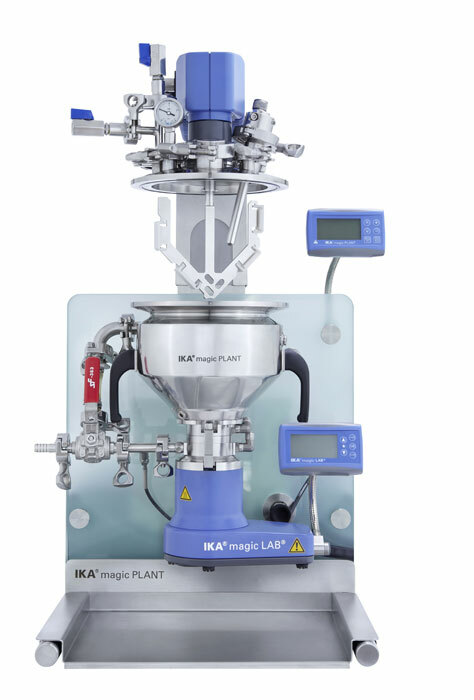 The magic PLANT basic can be used for a wide range of products to be mixed. The single components of the product are brought together in the mixing vessel where they are mixed with each other. 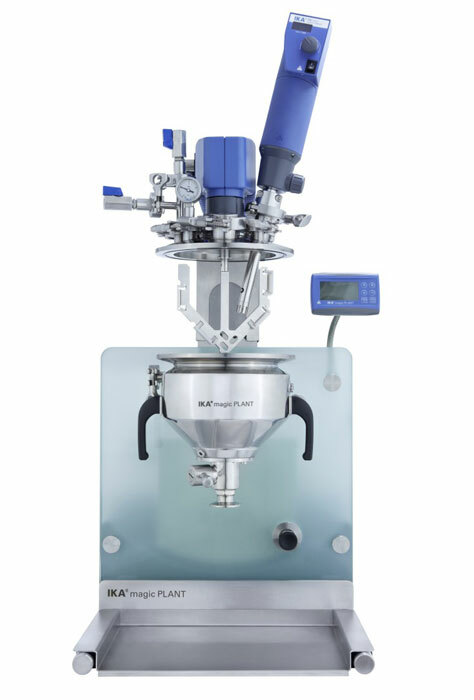 Depending on quantity and requirements of the process the different components are added to the mixing process via the opened cover or via a dosing socket in the cover. Due to the conical bottom of the vessel it is possible to treat even smallest quantities. The double jacket of the vessel can be heated for a very effective heating of the mixing product. The centrally arranged stirrer is the only mixing tool in the vessel. Wipers are used depending on the type of stirrer. Emptying of the vessel is done via the bottom outlet valve. Nevertheless, the vessel can also be tilted or completely removed. 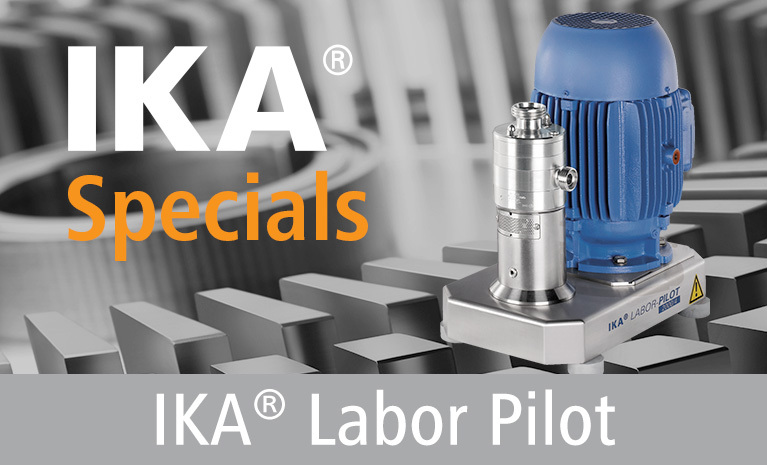 The magic PLANT inline is equipped with an effective and versatile dispersing machine type IKA® magic LAB® with a single or three stage rotor/stator system, flanged to the bottom of the vessel. It is specially adapted to the requirements of batch plants. An effective dispersing/homogenizing is realized by recirculation over the external circulation loop. The magic PLANT powder serves for efficient but gentle mixing and drying of all free flowing solids, including products with different bulk densities and particle sizes. Mixing is done by means of a special spiral agitator, intensively mixing the product in radial and tangential directions. The possibility to incline the position of the vessel cares for optimum drying of various humid solids of different free flowing behaviour as well as different bulk densities at uniform humidity and temperature distribution in the whole product area. (°C) Admissible operating temperature, max.